Pee Wee is a variety of Hydrangea with a small stature and exceptional decorative appeal. These would make a beautiful shrub border along your home, or use a few as foundation plantings. Your Pee Wee is a cultivar of Oakleaf Hydrangea that is most valued for its smaller size. Every part of it is smaller, from its leaves and flowers to its overall dimensions. 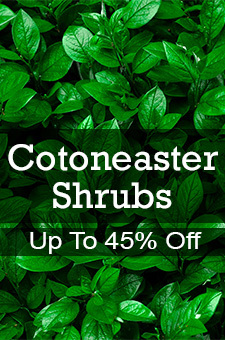 Its compact habit provides you with the opportunity to fit a few more into your landscape where other Hydrangeas might be oppressive. The deeply-lobed, 5-inch, dark green leaves turn a dramatic bronze/red in the fall. You'll love how their resemblance to Oak tree leaves adds even more decorative appeal. Panicles of white flowers appear in early summer. The majestic blooms have the delightful habit of gently transitioning from their pristine white, to pink in later summer and then eventually to brown. The tawny panicles persist into winter, creating a lovely compliment to the cinnamon hues of the exfoliated bark. Pee Wee is a deciduous shrub that has an upright habit and rounded form with no serious disease or pest problems. It's generally carefree. Interesting and colorful in every season, Pee Wee is a superb choice for your yard this year.